There are many instruments out there which normally produce enough sound when played acoustically. The violin is traditionally an acoustic instrument, and most of the time whilst practicing or even playing to small audiences. For musicians who do bigger gigs though, amplification will probably be needed. For that, you are left with a few choices. One of these is to use one a pickup or ‘transducer’, which will attach to your instrument either temporarily or permanently, and pick up the sound in the same way an electric guitar works. You can then amplify this or plug it into effects pedals or a mixing desk, for instance. In this article, we look at the best violin pickups for those who need to amplify their violin or fiddle to the next level of volume! There is also another option in the way of the electric violin, which we have also written about here. Take note! It can be easy to get lost in a world of terminology here. Pickups may also be referred to as violin transducers, or even contact mics for violin, but they are essentially the same thing. 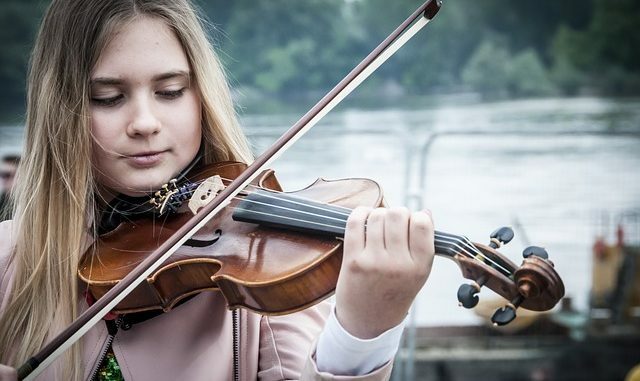 On top of that, you may be reading this page and wondering if what is best for violin will also be best for cello, fiddle or other string instruments. The answer is yes, all of the pickups reviewed below will do a great job for other string instruments. Fishman is a name that springs to mind for a lot of people when it comes to pickups for classical instruments. This is a carpenter style pickup with a 1/4 inch jack just like an electric guitar would have. The clever design means that this jack just clips on the edge of the instrument in a similar way that a chinrest would. This is a passive style of pickup so it is recommended that you run it through a preamp too, though the manufacturers say that this is not essential, so it is really down to personal preference. The Fishman V-200 is a superb choice for a couple of reasons. Most of the reviews will tell you that it does a great job of replicating the sound of your acoustic violin when amplifying it even to the highest levels. On top of that, this is really easy to fit and doesn’t require an audio technician to be fitted, anyone can do it. It also doesn’t permanently alter your instrument so you can remove it at any time. It’s literally a band! If you want a product that doesn’t change the way your violin looks then you might want to keep scrolling, but if you don’t mind, this is a clever way to amplify your instrument. The band literally straps under the strings all the way around your violin. Its clever design is not just for the purpose of being temporary, and easy to put on and take off, there are practical benefits. The brand claim that you can get to higher volumes before you get feedback when compared to using mics on stage. It also is designed to reduce the unwanted sounds you can pick up either on a mic or transducer, such as bowing sounds and body noises. A look at some of the other consumer reviews show that a lot of musicians are very happy with this product, and the warmth and detail it provides. The band is not a cheap violin pickup so be prepared to part with some money for the amazing sound quality on offer. Sadly this is a world of “you get what you pay for” and a $10 transducer is never going to be as good as something like the Headway. This pickup is easy-to-use and high quality and is great for pro musicians to use live or even in the studio. Gregg Myers, the founder of Myers Pickups, promises to refund anyone who isn’t happy with their purchase of the Feather, but judging by how this product has been received it doesn’t seem likely that you will need to! Again, this is not a cheap pickup, but it is worth the extra money due to the quality on offer. 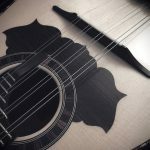 The Feather uses active technology, so effectively has a preamp built in, and does a wonderful job of replicating the sound of an acoustic instrument. As well as this, it can be used on many different instruments, and the inbuilt ‘gooseneck’ design means you can alter where this is pointing to optimize the sound. It is not difficult to see why violin pickups are becoming very popular products. We live in an age where most instruments have some method of being plugged into effects pedals, amplifiers and mixing desks. There are some purists who don’t think that this is the way violin should be amped and recorded, but the alternative of high-quality microphones isn’t always viable for all of us, and is especially troublesome playing live. You will find that a lot of these products do not go easy on the pocketbook! 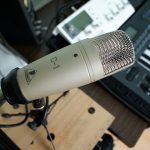 However, you don’t have to be a professional to want to amplify your violin or run it through effects, and many beginners are looking for a budget option. For this, the Luvay Piezo multi-instrument pickup can do a pretty good job. It isn’t elite or necessarily the quality you would need for a large concert, but for small gigs, practicing and recording at home the Luvay Piezo does the job. It is easy to install and can be controlled with a volume knob as well as an included 10ft cable. You may not see one at an international concert hall any time soon but for just starting out or experimenting with loop pedals, effects pedals or amps for your violin it can be a good starting point. Magnetic pickups are very common and we see them used in a lot of instruments such as electric guitars. These work by utilizing a wire coil which is wrapped around magnets. This converts the sound via a created electromagnetic field and this is easy to then amplify. This technology is efficient, but isn’t always the most detailed. Great for instruments like electric guitars, and some magnetic pickups can be good for violin, but the more detailed option is possibly Piezo. Piezo pickups work by measuring the pressure created via the vibrations of the strings and turning this into an electrical signal. 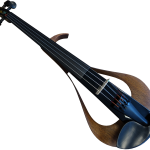 You could argue the technology is more advanced and true to the original sound, something that people especially value with such an expressive instrument such as a violin, cello or fiddle. 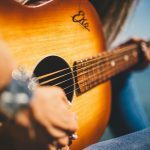 Whatever instrument you play, there is usually a huge amount of personal preference, from which brand you buy in the first place, to the accessories you buy. Perfecting your sound is not just down to practice, but decisions such as which pickup is the one for you go a huge way to defining your signature tone and way of playing. Pickups open up a world of opportunities and possibilities. 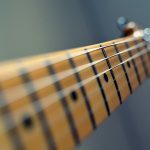 In the modern age, it is natural to want to play with the modern benefits of an electric instrument, even if your specialism is a classical instrument. Pickups allow exactly that. Some people install pickups on their violin just to be able to run them through effects pedals, loop pedals and to make simple recordings at home.